Buying your first stock is one of the most exciting things that you will ever do. Although there are a number of people who are able to feel this excitement in their early 20s (few even earlier), however, many of the people in India are not able to have this joy till quite a long time. As the new year, 2018 is almost on the door, the best new year gift that I can give to my readers is to help them make their first stock market investment and buy their first stock. Therefore, in this post, we are going to discuss how to buy your first stock. 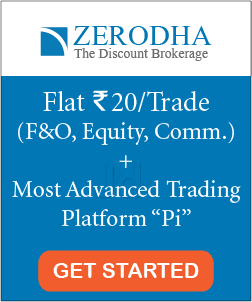 First of all, I would like to clarify that I am not going to discuss the technicalities like how to open trading and demat account, which broker to chose etc in this post. I have already written about these on one of my earlier blog post which you can find here. In today’s post, we are going to discuss the mindset required to buy your first stock. What approach you need to follow to buy your first stock in Indian share market. Please make sure that you read the post until the very end as there’s a bonus in the last section of this post. Now, before we explore how to buy your first stock, here are few basic guidelines that you need to know before you start investing. Even Mahendra Singh Dhoni was out on a duck on his first ODI International match. As a matter of fact, he failed in 5 of his first ODI’s before hitting his first big ton and later becoming one of the most successful captions of Indian cricket team. It always feels good if your first investment gives you two or multiple times return. However, it’s not that bad if your first stock didn’t turn out to be a winning stock. How many batsmen do you know who hit a hundred in his first match or a new bowler who took a wicket on his first ever ODI over? Not performing well in the first match doesn’t mean that these players are not talented or they hadn’t practiced. Moreover, failing on the first match doesn’t stop them from becoming ultra successful in their career. In short, you do not need to find only a multi-bagger stock to make your first investment. It’s more important that you learn and start your investment journey. You will found tons of opportunity in future once you get some experience and confidence. If you think that you shouldn’t invest in stocks just because might lose hundreds (or thousands) in the beginning, you are never gonna make a huge success in any of your investments in future. Of course, you are going to lose. I do not know a single investor who has never lost any money in some of their investments. However, if you are not willing to enter the stock market just because of the fear of losing small money initially, you won’t be able to make the big successful investment which will give lakhs in returns in future. It’s okay to make mistakes as long as you are not making too many of them. Do not be afraid of making small loses. Be afraid of not being able to catch the big ones. Find me an investor who knew everything before his first investment. I bet, you can’t. Investment is a lifelong learning and there will be always more to learn. You are not supposed to learn everything before buying your first investment. Because if that’s the case, many people won’t be able to buy any stock before their 30s, or maybe 40s. Let me give you an example. For last few years, there is a bull market in India. Now, those who started investing in this period, have no idea what it feels like to invest in a bear market and how to safeguard their money in the bear market. Moreover, they cannot be prepared for it as they have only read about this financial situation in books, but never had faced it. So, should it stop these new investors from investing in the stock market just because they are not fully prepared? No, there are many things that you cannot learn from the beginning. Your journey will teach you most of the things. Still not convinced? Let me explain it with the analogy to Cricket. If a batsman is stubborn that he will only enter the cricket playground once he perfects all types of cricket shots like an uppercut, straight drive, leg glance, square drive, cover drive, pull, square cut, sweep shot, reverse sweep etc, then it might take him years to play his first match. I understand that there are few exceptions like Sachin or Kohli, however, most of the batsman has their own strength, some are good in offside and some are good in leg side shots. If they have been waiting to achieve absolute perfection before entering the playground, then they might never have been able to make up for the International cricket team. Perfection is the enemy of progress. You won’t be able to buy your first stock if you are looking to learn everything before even you start investing. How to buy your first stock? This is one of the best advice that I learned during my initial days in the stock market after reading the book ‘ONE UP ON WALL STREET’ by Peter Lynch. The book really taught me how to buy your first stock. You do not need to find an XYZ Chemical company which creates products like vinyl sulphone ester, that you have no idea of what it does. Just look around and you won’t find it difficult to search for companies. From toothpaste, hair oil, edible oil, shampoo to cars, banks, shoes, clothes, petrol pumps etc, everything has a company behind it. You have grown up with the names of these companies. Why not study them and invest? Many of the common companies has given amazing returns to its investors. Don’t believe me? 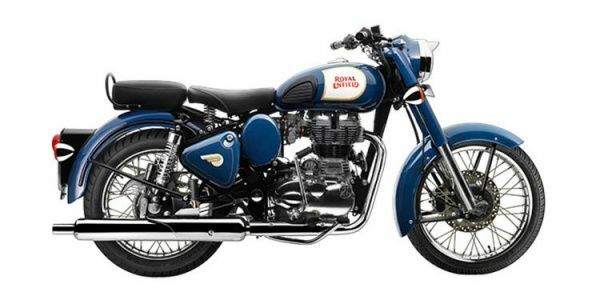 Ever heard of Bullet bikes (Royal Enfield)? This bike has a craze among many of the youngsters (even older people too). A common name which anyone could have noticed. However, had you invested in the parent company of Bullet i.e. Eicher motors, you would have been madly happy with your investment by now. 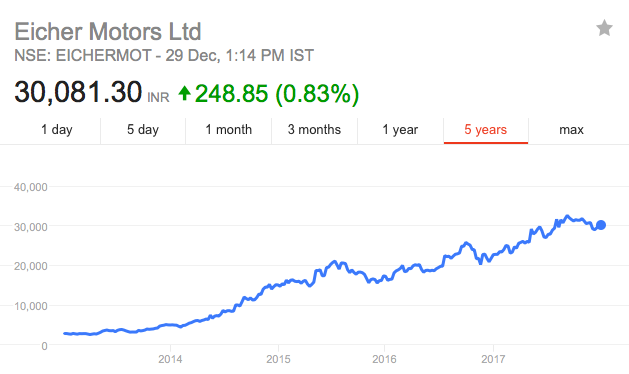 Eicher Motors has given a return of over 1,000% in last 5 years. Similarly, You also might have heard about JOCKEY, the innerwear &underwear company. Its parent company is PAGE INDUSTRIES. Search its return on google and you’ll amazed. Still not satisfied? Here’s another company which you can’t argue that you haven’t heard of- TITAN COMPANY. Few of the child companies of TITAN are Fast track, Sonata, Tanishq, Titan eye etc. Everyone in Indian knows about these brands and also might have noticed the crowd in their showrooms. But have you ever tried searching whether the company is listed on the stock exchange or not? The company has given over 2.5 times return last year. Check it out on google. 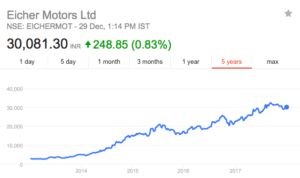 Here are few other common companies which you might also have heard of that has given uncommon long-term returns- Bajaj Finance, Symphony, MRF, HPCL, TVS Motor etc. Overall, you can find a good company if you just look around. You might be a beginner, however, if you are keeping your eyes opened, you too can find a great company to invest easily. Ask anyone how to buy your first stock and this is the logical answer that you will get. Let’s imagine you are going to a party and there’s a food on the table which you have never tasted or are not sure about it. What will you do? Will you take a large spoon and stuff your mouth full of it or will you just taste it with a little spoon first? Now, unless you’re a badass foodie, the second approach seems more reasoning. In the same way, when you are buying your first stock, invest small. Buy 10 stocks or invest under 5k. There are many benefits of investing small. First of all, you will learn how the technicalities like how to buy/sell using the trading account and you can be much confident while investing as the amount is not that large. Second, let’s take the worst case scenario before we move to the bright one. It’s very rare case that you can lose entirely 100% in delivery. Most probably, even if your stock selection does not turn out to be what expected, you will lose 40-50% of your initial investment. When your initial investment is small, let’s say 5k, then losing 2-2.5k will not affect you much financially and moreover, will not hurt your morale. Third, if your stock turned out to perform well, you can always increase the investment amount. As mentioned above, the aim is not to fear the market by making small losses. The real aim is not to miss big opportunities. I have seen a lot of people worrying too much about their brokerage account. Where should I open my demat and trading account? How much will be the brokerage? Which is the cheapest broker for beginners? etc. It’s same as a batsman in Cricket worrying too much about his ‘bat’ than how he is actually going to perform. Well, it’s true that bat is an important part of your performance. However, the batsman can always change his bat if he plays well. In the same way, your first broker need not be your last broker. You can always change your broker anytime if you are not satisfied with the services. Focus more on selecting stocks than selecting brokers. I’m not suggesting to totally ignore the broker and get registered with any brokerage firm. Just find a reputed broker which provide the facilities that you are looking for and do not worry much about the brokerage. Unless you are investing in lakhs or are involved in frequent trading, the brokerage charges won’t affect you much financially. Obviously, they are going to have some impact on your profit, however, it’s okay to give 0.5% of your investment to the broker than wasting 5-6 months just to search for the cheapest broker. When you are learning how to buy your first stock, focus more your ‘first stock’ than your ‘first brokerage charge’. The article would be incomplete if I didn’t explain this. Many a time you might have noticed that you take one of your friends to play some game (which he has never played before), but yet he is able to beat you. This is called beginner’s luck. Beginner’s luck is applicable is almost all part of life, including the stock market. It might happen that your first stock turned out to be exceptionally well-performing stock and you might get a return of 30-40%, just within a month. Do not let this influence you. Do not increase your investment amount drastically just because this one turned out to be good. Wait for some time and monitor the outcomes of few of your other investments before investing big. Make a strategy and stick to it without getting influenced by the beginner’s luck. When you’ll buy your first stock, it will give you a lot of satisfaction. This is because you have now entered the exciting world of stock and market and you are aware that you have over 5,500 other options available if this one doesn’t work. You have learned how to buy the stock and all you need now to improve your approach to gain good profits. Do not worry a lot on brokerage charges rather focus on stocks. Further, do not hurry up that you’ll miss the train. Take your time. Start small and continuously increase your investment amount. Finally, learn from your mistakes. There are a number of mistakes that you can do while buying your first stock. You might book profit soon and sell the stock too early. Or you might hold it for a long time without any returns. There are a number of outcomes possible. Learn from your mistakes. Moreover, do not repeat them. Take your first investment as a challenge. Either win or learn. Ready to invest in stocks? If you’re a beginner and want to learn stock market investing from scratch, here’s an amazing online course for beginners: HOW TO PICK WINNING STOCKS? The course is currently available at a discount. Before I end this post on ‘how to buy your first stock’, I want to include the 3 golden rules that you need to know. 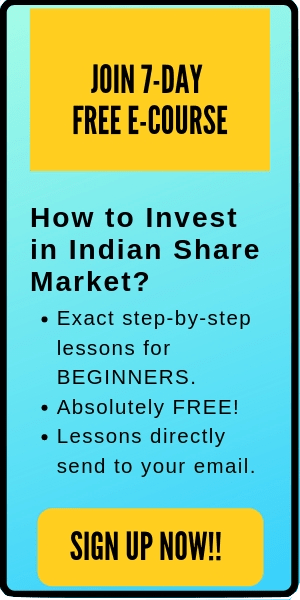 Now that you have decided to buy your first stock, you should also know how to make a huge amount of money from the Indian stock market. All you need to do is to start as soon as possible, invest consistently (moreover, continuously increase your investment amount) and remain invested for the long term. That’s the key to make tons of money from the stock market. That’s all. I hope this post on ‘how to buy your first stock’ is useful to you. If you agree with what I discussed here, please share the post with at least one person who needs help to enter the stock market. In addition, if you have any questions, please comment below. I’ll be glad to help.